In January 2005 an electrical safety law, Part P of the Building Regulations, was introduced by the Government to further enhance the protection of homeowners. Its aim was to help reduce the number of deaths, injuries and fires caused by faulty electrical installations and to make it harder for ‘cowboys’ to leave electrical installations in an unsafe condition. As a result of this new law all electrical installation work in a home, garden, conservatory or outbuilding is subject to Part P Building Regulations. Apart from some types of minor work (see Part P Factsheet) all electrical work must either be reported to the Local Authority Building Control, or be carried out by an electrician who is registered with one of the Government-approved scheme providers, like ourselves. Chris White Electrical Solutions is registered through the NICEIC. All work undertaken meets the current 17th Edition BS 7671 (Requirements for Electrical Installations) and is compliant with Part P Building Regulations. By choosing us you can be assured that you will receive all the necessary paperwork to prove that the work we have undertaken meets both the Wiring and Building Regulations. We will deal with all aspects of Part P Building Regulations for you. There will be no additional building-control charges for the electrical work that we carry out and we will arrange, where applicable, for you to receive the required Building Regulations Compliance Certificate on completion of the work. 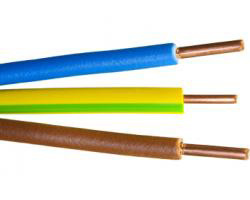 Furthermore, each customer will also receive an Electrical Installation Certificate or Minor Works Certificate that confirms the work meets BS 7671 (Requirements for Electrical Installations). It is illegal to install new wiring or make alterations to existing wiring that does not comply with Part P of the building regulations. 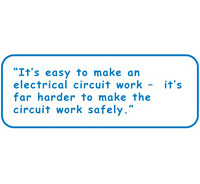 By law, homeowners and landlords must be able to prove that all new electrical work meets Part P building regulations. The local authority can insist that any work not meeting the building regulations is altered or removed. Without the relevant electrical safety and compliance certificates, you may have difficulty in selling your home.